Our blog is a hub for thought leadership and commentary, written by and for technology and business professionals on topics about Enterprise and Business Reference Architectures, the technology value chain, process automation, TOGAF® User Groups, Internet of Things, Big Data, digital transformation, and many related topics. 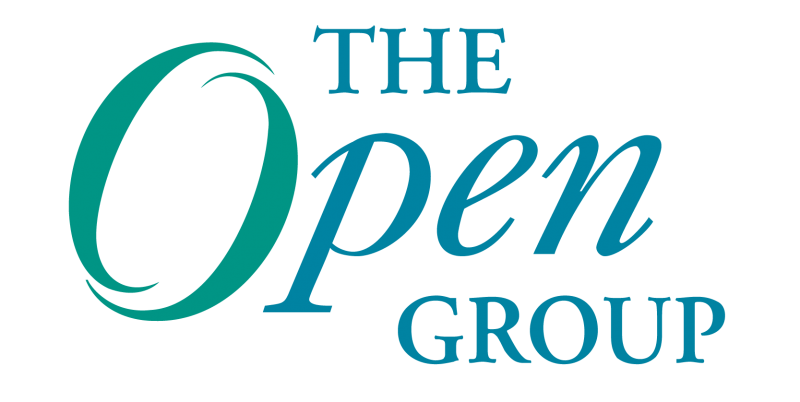 The Open Group Blog features articles with technology industry experts related to Enterprise Architecture; TOGAF®, an Open Group standard; Open Business Architecture (O-BA) and capability maps; digital transformation; technology standards interoperability, Open Process Automation™; IT4IT™ Reference Architecture for managing the business of IT; IT Value Chain; framework for data information flow; Internet of Things, ArchiMate® Modeling Language, Customer Experience Reference Model; certifications; and many other subjects of interest. All content in this blog created by the blog owner is the property of the blog owner and protected by U.S. and international copyright laws and cannot be stored on any retrieval system, reproduced, reposted, displayed, modified or transmitted in any form, electronic or otherwise without written permission of the copyright owner except as noted below. The Open Group Blog content may not reflect the official position of The Open Group or affiliates. All material on this website is posted in accordance with the limitations set forward by the Digital Millennium Copyright Act (DMCA). If a documented copyright owner so requests, their material will be removed from published display, although the Author reserves the right to provide linkage to that material or to a source for that material. This website may at times present copyrighted material, the use of which might not always been specifically authorized by the copyright owner. Such material is made available in an effort to advance understandings of democratic, economic, environmental, human rights, political, scientific, and social justice issues, among others. The author believes that this constitutes a “fair use” of any such copyrighted material as provided for in section 107 of the U. S. Copyright Law. In accordance with Title 17 U.S.C. Section 107, the articles published on this website are distributed without profit for research and educational purposes. ArchiMate, DirecNet, Making Standards Work, OpenPegasus, Platform 3.0, The Open Group, TOGAF, UNIX, and The Open Brand X logo are registered trademarks and Boundaryless Information Flow, Build with Integrity Buy with Confidence, Dependability Through Assuredness, Digital Practitioner Body of Knowledge, DPBoK, EMMM, FACE, IT4IT, the IT4IT logo, O-DEF, O-PAS, Open FAIR, Open O logo, Open Platform 3.0, Open Process Automation, Open Trusted Technology Provider, SOSA, and The Open Group Certification logo are trademarks of The Open Group. For more information on The Open Group Blog, please contact submissions@opengroup.org. We won’t always agree on everything, and in fact that’s when some of the best discussions take place! But insults and/or personal attacks will NOT be allowed, as they offer nothing to the discussion. Comments that include personal attacks will be deleted, and your ability to comment here may be restricted. If you wouldn’t say it to someone’s face, it’s probably not OK to say it here. Keep in mind that what’s “acceptable” language to you might offend some people. In general, if you wouldn’t hear it on the nightly news, then it’s probably best not to say it here either. We reserve the right to edit or delete comments that contain questionable language. All spam comments will be deleted immediately. Fraudulent or unbalanced comments have no place on this blog. This includes self-promotional comments that aren’t really relevant, that include a link to your site, such as “Thanks for sharing,” and adding a link to your Get Rich Quick blog. Don’t waste your time, or ours. You will leave your email address when you leave a comment, but we will not share your email address with anyone or publish it here. If we feel your comment isn’t in line with the above guidelines, we may alter it, or delete it altogether. We will try to give you the benefit of the doubt, but if we feel your comment is going against our policy, we’ll act on it. If you want to share your opinions with us privately, or if you have a question that you don’t want to share publicly, feel free to email us at submissions@opengroup.org. We want to hear from you!